According to PT Bio Farma (Persero) Annual Report 2016 as cited by JobsCDC.com, Bio Farma's net sales in 2016 was down 1.29% at Rp 2.32 trillion as compared with Rp 2.35 trillion in 2015. 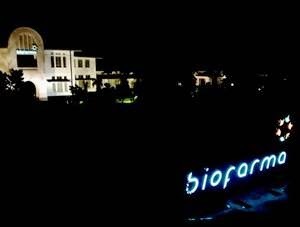 Bio Farma's net profit in 2016 amounted to Rp 501.04 billion. This number is decreased by 25.28% compared to the year 2015 amounted to Rp 670.59 billion. S1 Law, Management with minimum GPA of 2.75. The candidates with prior experience in the field of law of engagement is preferred (for Law discipline). D3 Management, Informatics Management with minimum GPA of 2.75. D3 Accounting with minimum GPA of 2.75. S1 Accounting, Information System, Informatics Engineering with minimum GPA of 2.75. The candidates with prior experience as programmer is preferred (for IT discipline). Possess certification in tax brevet A and B is preferred (for Accounting discipline). S1 Pharmaceutical, Management with minimum GPA of 2.75. Possess STRA is preferred (for Pharmaceutical discipline). S1 Accounting, Biology, Management, Industrial Management, Industrial Engineering, Microbiology with minimum GPA of 2.75. JobsCDC.com now available on android device. Download now on Google Play here. Please be aware of recruitment fraud. The entire stage of this selection process is free of charge. PT Bio Farma (Persero) - D3, S1 Junior Staff, Staff Bio Farma April 2018 will never ask for fees or upfront payments for any purposes during the recruitment process such as transportation and accommodation.